When you’re in pain, you want relief and you want it fast. Here at the Gentle Wellness Center, our specialists are ready to offer personalized alternative pain management solutions. We are dedicated to helping you feel better, regardless of the source or cause of your pain, which is why we offer a broad selection of therapies. 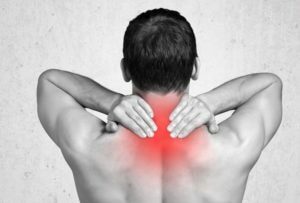 Localized Pain: Neck Pain, Shoulder Pain, Lower Back Pain, Upper Back Pain, Buttock Pain, Leg Pain, Calf Pain, Knee Pain, Etc. Here at Gentle Wellness Center, we treat and manage pain in a holistic way by working with not only the patient’s body, but also their mind and spirit. Our specialists will look at several elements in the patient’s lifestyle to try and identify all the elements that may be contributing to their painful condition. We need to understand why a patient is experiencing so that we can do everything in our power to solve the problem for good. Why Choose Alternative Pain Management Over Traditional? With the issues that traditional pain management has it no surprise that patients are looking for alternatives. If you don’t want to risk addition or go through surgery to treat your pain symptoms our alternative pain management options are a great fit for you. Most pain-causing conditions are complex, with several contributing factors, and in response, our treatment plans multifaceted and take an integrative approach. The first step of your pain treatment plan with be a consultation with one of our pain management physicians. They will not only examine the symptoms specific to your condition, but also get a big picture idea of possible contributing factors by asking about your medical history, lifestyle and habits. Together, our pain management specialists will develop a comprehensive treatment plan tailored to you. Methods can include one or several of our alternative pain management therapies. Once the plan has been made, we will begin scheduling the various components so you can start living pain free as soon as possible. Suffering From Chronic Pain & Need Relief? Chiropractic treatment is a holistic approach to overall health that allows the body to heal itself of illness, injury and environmental and emotional stresses. Several highly regarded chiropractic research projects, including an exhaustive British study in 1990, have documented myriad instances of resolving acute back pain more effectively and with greater duration than attempts by mainstream medical interventions. Over time, as the advantages have come to light and become increasingly indisputable, chiropractic care has gained full acceptance within the mainstream medical community. Acupuncture, a type of traditional Chinese medicine, has long been recognized as an effective treatment for chronic pain and other illnesses. There is nothing magical about acupuncture. Like other alternative treatments, Acupuncture works by activating the body’s own self-healing mechanisms. In 2012, a study found that acupuncture was effective for the treatment of back and neck pain, osteoarthritis, chronic headache, and shoulder pain. Another recent review of studies showed that acupuncture was more effective than drugs when it came to controlling sciatica pain. In light of the nationwide opioid crisis, doctors and patients are turning to acupuncture as a drug free alternative to traditional pain management. K-Laser Therapy is a non-invasive, therapeutic treatment using a Class IV laser in order to reduce pain and inflammation while simultaneously accelerating tissue regeneration and healing. K-Laser Therapy uses specific red and near-infrared wavelengths of laser light to induce a photo-chemical reaction and therapeutic effect. K-Laser Therapy sessions are quick and highly effective. Sessions last between 5 to 10 minutes depending on the injury/condition. It may seem short; however, the therapeutic effect continues to sooth and heal long after you leave our wellness center. When the myofascial unit, the connective tissue within the muscle that attaches muscles to ligaments and bones, is contracted, tight or damaged, it pulls organs, tissues and bones out of alignment, adversely affecting their ability to function correctly. These restrictions can also cause chronic pain. Myofascial therapy consists of gentle manual manipulation, stretching, therapeutic trigger point injections or electrical therapy. Releasing the myofascial tissues allows organs to function freely, without the structural restrictions imposed by tight connective tissue. This helps normalizes function and relieves pain. 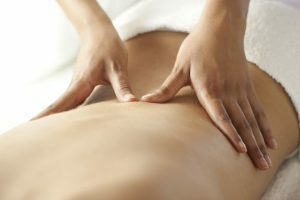 Often overlooked when it comes to pain management, massages are safe and incredibly effective at reducing pain in the short term and long term. Massages relax muscle tension, stretch the muscles to their normal length and improve muscle flexibility, all which help relieve pain. Massage is also used to flush the chemical and metabolic wastes that accumulate in the muscles. Start feeling better faster with help from the Gentle Wellness Center. 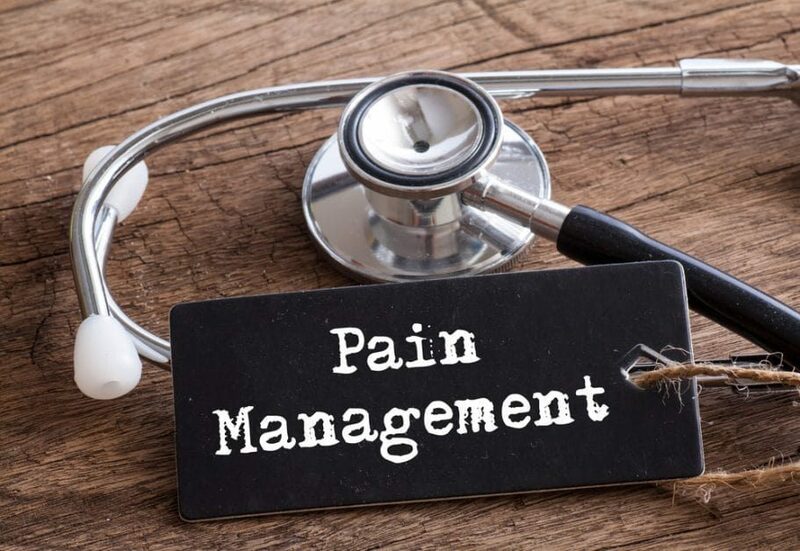 Call today 703-436-1512 or fill out our contact form to schedule your alternative pain management consultation!